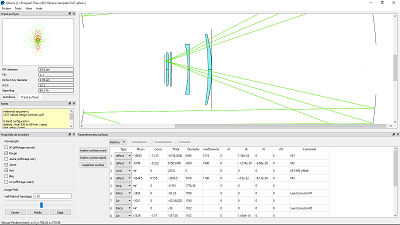 Astree is an Amateur Telescope Making freeware to help with optical design and optimisation. 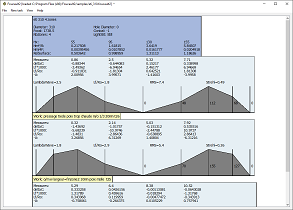 This software computes and shows the ray-tracing analysis of optical devices, having conical or polynomial surfaces, having reflections, transmissions, stops, analysis of the image quality. 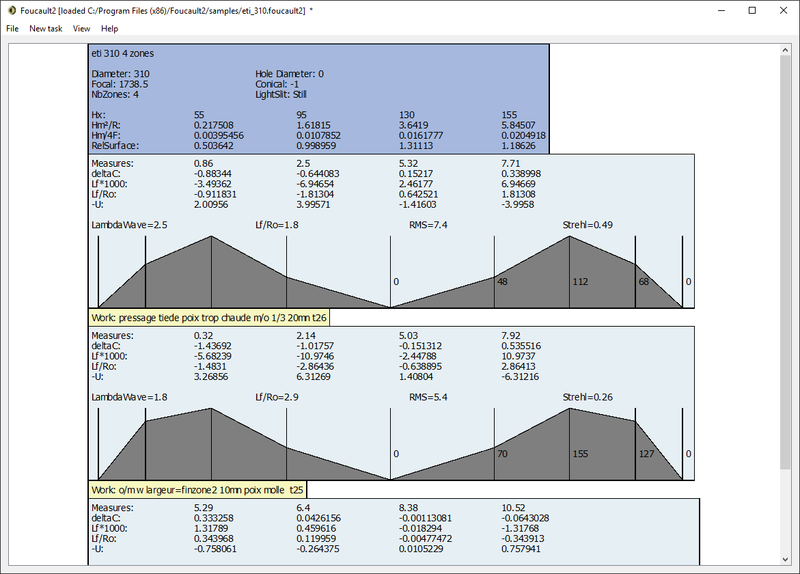 There is a also an optimization module to enhance your optical designs! The code sources are GPL, using Qt, feel free to send patches and request. Due to library changes, please uninstall previous version before installing the new one. - Added image_infinite observer ( like eye…) , with this surface, you can easily design afocal systems. 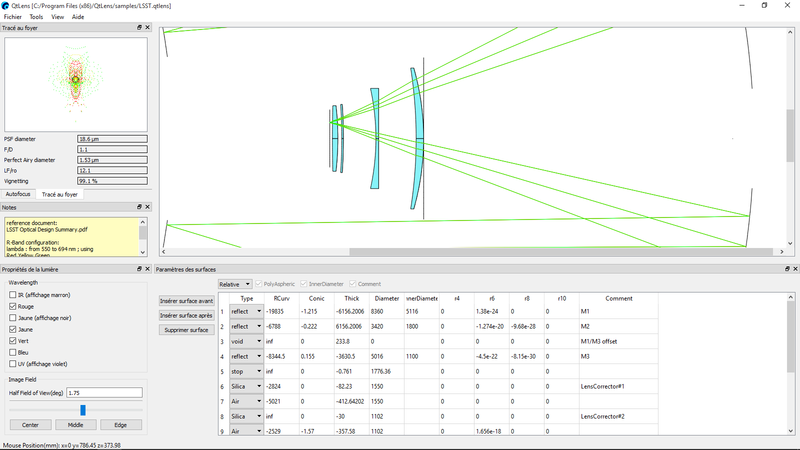 Foucault2 is an Amateur Telescope Making freeware to help with mirror design and polishing. The code source is GPL, using Qt, feel free to contribute or to ask for features. The code sources are GPL, using Qt, feel free to send patches and request!! - Added Zip file with executable in a portable app: unzip and run! This software computes and shows the ray-tracing analysis of optical devices, having conical or polynomial surfaces,having reflections, transmissions, stops, analysis of the image quality.